Favourite fashion concept store, LE66 has announced the arrival of its Autumn/Winter FW17 collection in store. Classic yet contemporary, urban and distinctly upbeat, LE66 transforms the city into your catwalk this season. From festive furs to luxurious lace, modern metallics to fashionable footwear, a combination of our top picks ensures you’ll be at your most eye-catching at all times, ready for any occasion. We’re loving the clean fluid lines, bold contrasts and subtle stylings that make this collection gritty yet glamorous. 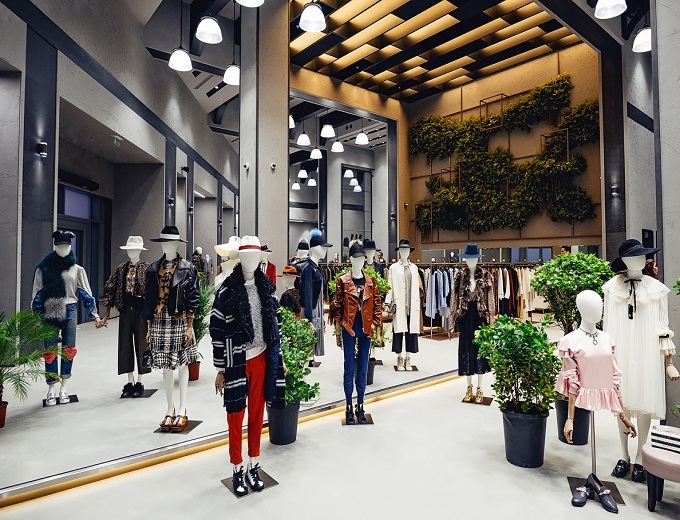 With her 150 brands contributing to the specially curated Autumn/Winter collection including Violanti, Golden Goose, AVIU and the Fifth Label, all making an appearance, along with Mucho Gusto, Toga Pula, Philosophy, and Toni Maticevski, there’s an outfit for every occasion. Dine with friends sporting Erika Cavallini’s stylish patterned blouse and waist-high trousers, attend your work party in Elliat’s off-the-shoulder lace dress, or outshine your colleagues in Needle & Thread’s full-length evening gowns. Mix & max pieces for an eclectic look such as silk pyjamas collared in a subtle oriental style from COME, and Forte Forte’s uneven cut of their new cabernet-coloured velvet skirt, adding a sense of vogue to the daylight hours. Not forgetting those all important jackets accented in faux-fur and leather, sure to keep you cosy during the winter months. Available now at the newest edition of LE66’s concept store, the Autumn/Winter collections will amplify your personality on the fashion promenades of the city this season.